Felicia Escobar is a native of San Antonio, Texas. She received an undergraduate degree from Yale University, a Masters in Public Policy from the Harvard Kennedy School of Government, and her J.D. from UCLA School of Law. 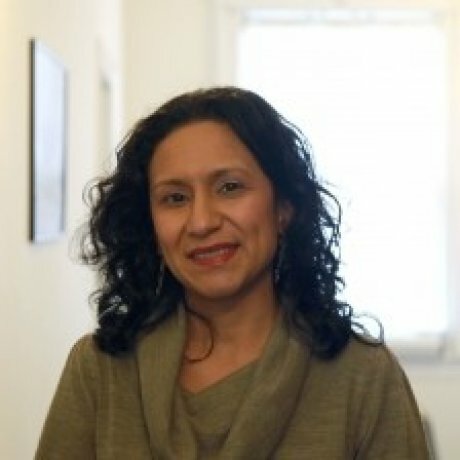 Currently, Escobar is the Principal Consultant for the L.A. Justice Fund, a public-private partnership that seeks to increase access to legal services for immigrants in removal proceedings. Prior to this role, she served as Special Assistant to President Obama for Immigration Policy. In this role, she developed the Obama administration strategy for building a 21st century immigration system. This work involved coordinating efforts across the Executive branch to strengthen the current system and working toward passage of meaningful, comprehensive immigration reform legislation. Escobar previously served on U.S. Senator Ken Salazar’s legislative team, working with him to develop his legislative agenda on a host of issues including labor, civil rights, judicial nominations, and immigration. She advised Senator Salazar during the comprehensive immigration reform debates of 2006 and 2007 in which Senator Salazar was a key member of the bipartisan group pressing for reform. Prior to this, Escobar was Associate Director of the Senate Democratic Steering and Outreach Committee. In this role, she helped cultivate relationships between Democratic Leader Tom Daschle and key stakeholder groups, including Latino, immigration, and education advocacy groups. Escobar started her career as a State Policy Analyst working for the National Council of La Raza. She represented NCLR and its network of affiliates in the Texas State Legislature, testifying before legislative committees to advocate for education, immigrant access to benefits, and hate crimes legislation.